Animaland is serving people with their innumerable stuffed toys. They are a reputed company to produce hygienic stuffed toys and children love them the most. They were established in 2005 and were incorporated in the region of Nevada. Corporate office of the company is located in Las Vegas, NV. They are categorized under Dolls and Stuffed Toys Manufacturers. 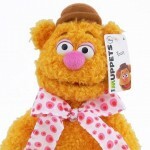 Various stuffed and trendy animals are available in their stores. Notable products supplied by them include frog stuffed animal, clean stuffed animal, dolls on parade brush, collectible baby dolls and even cloth dolls. They have stores over four hundred locations throughout the world. There are currently 0 consumer reviews about Animaland available. Share your review. Please take a note that you are about to post a public review about Animaland corporate office on CorporateOffice.com. This review will be public, so please do not post any of your personal information on this website. If you would like to contact the corporate offices of Animaland, please use their contact information such as their phone number, website, and address listed above to contact them. However, sometimes staff from Animaland headquarters do read the reviews on this website.